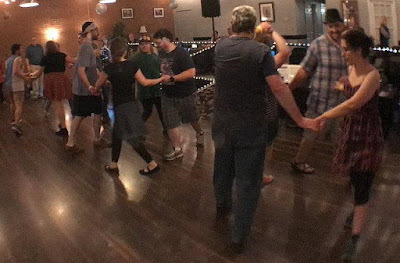 Our new dance hall is close to Northeast Columbia, near the intersection of I-77 and Farrow Road (also known as SC-555). Parking is available at the front of the church and also in the grassy area to the right of the entrance. We are always grateful for all our dancers and would love to grow our community! Please bring a friend (or three) and your whole family! We welcome everyone; we love having young dancers,young-at-heart dancers, all dancers! 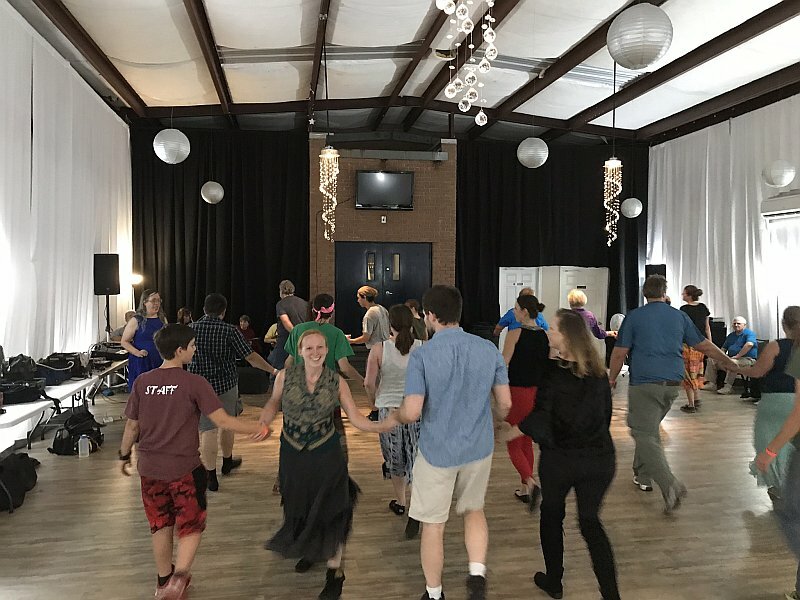 We have a beautiful safe space for dancing and fun. Let's Contra! New Dancer's Workshop from 7:00 PM - 7:30 PM. Learn Contra dance basics for a more enjoyable experience. Please bring clean, soft-soled, non-marking shoes. Thanks! We charge only $8 for all dancers. Please note:our admission fee will be $10 starting in March. Find us on Facebook at "Columbia Traditional Music and Dance"
Please refer to our "Previous Events" page for older dates.